Haven't had any time to post anything since I was training for the Palace to Palace where I had to cycle from London to Windsor, let alone the lack of motivation in posting shots since the last posting. So the postings have taken a back seat. And now I have to go on a holiday somewhere in Greece, which funnily enough, don't feel that enthusiastic about. So I don't know when I will post again. 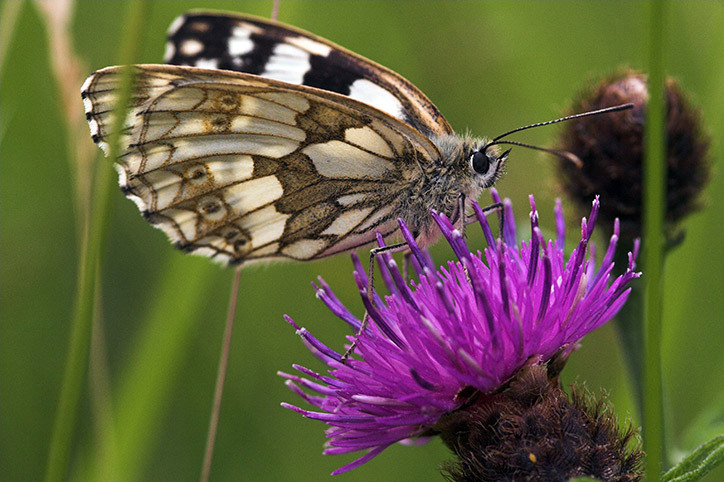 Anyway, I took this picture of a butterfly feeding on a thistle in the Surrey Downs around June. Not sure what the butterfly is called though.